Founded in 1928, Farmers Insurance has been providing peace of mind to its customers through the Great Depression, World War II, earthquakes, tornadoes, health crises, and civil unrest over the course of its nearly eighty years in business. Today, the company is an industry leader offering the major varieties of insurance products in the marketplace. They offer competitive rates and coverage plans to meet the needs of every consumer. The company is dedicated to serving its clientele with an eye on preparing for the future and providing ironclad protection against life’s uncertainties that can be faced at any moment. They cover the main products like home, auto, and life, along with others that are not as widely offered by their competitors. Every state in the country requires drivers to carry at least some minimum coverage. While those standards might vary from state to state, the mandated minimums may not be adequate to provide sufficient protection for you, your family, or your motor vehicle. Liability: This basic portion of your coverage is the main reason for having auto insurance. It covers you in the event you get into an accident and you are the party at fault. Liability insurance assumes all costs related to bodily injury and property damage to the other party. 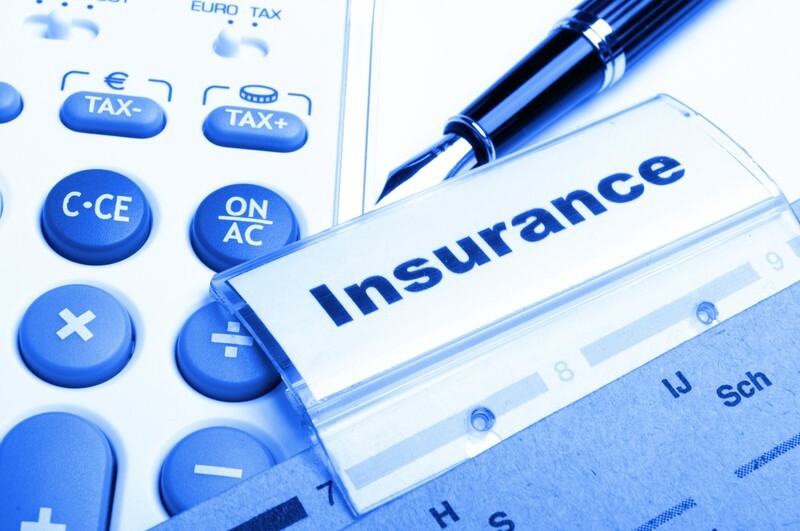 Any costs to cover your loss in the event of an accident are not included in this part of the policy. Collision: This is the section of your policy that covers you in case you crash your car into another vehicle or any other object like a pole, fence, or plate-glass window. Any expenses that are incurred as a result are covered. Comprehensive: Similar to Collision, this covers any costs that are incurred if your vehicle is damaged or destroyed due to weather or theft. Medical Payments/Personal Injury: This segment of your policy handles all of your medical and injury expenses in case of an accident. It also covers your passengers if something happens to them in a crash. Uninsured/Underinsured Motorist: This is good protection to have should you get struck by another motorist who doesn’t have sufficient (or any) coverage, and that person is at fault. Some states require you to carry this coverage. Personal Injury Protection (PIP) Coverage: This is the section of your insurance policy that covers medical costs for you and the passengers in your vehicle, regardless of who is at fault in an accident. This protection extends to covering the costs of hospital visits and rehabilitation. It might even cover any lost earnings that you or your passengers might experience for not being able to work due to injury. New Car Pledge: This option protects your new car if it gets destroyed within the first two model years that you own it, or if it still has less than 24,000 miles on the odometer. Should that happen you would be entitled to receive a brand new model of the same vehicle (minus your deductible). Under this protection you would also be entitled to receive only original manufacturer parts should your new vehicle require minor repair work. Accident Forgiveness: If you have this option on your policy you would be eligible to have one accident forgiven from your record for every three years that you drive without getting into one. This way you will not need to be concerned about your rate increasing just because you got into an accident. Small Claim Forgiveness: This option works in much the same way in that any minor fender-bender you are involved in will not automatically trigger a rise in your monthly premium. It does not matter if it is your fault. Your rate will remain the same. Incident Forgiveness: This option is also similar in that it applies to any moving violations you might receive for speeding or running a red light. Your rates will not go up just because you got a ticket unless someone files a claim as a result of the incident. Therefore if your actions do not end up causing an accident your rate will not increase. Loss of Use: If you add this option to your policy you can be reimbursed for any expenses that are incurred by you for alternative forms of transportation, while your vehicle is inoperable. These expenses may include trains, buses, taxicabs, Uber rides, and rental cars. Should your vehicle be totaled, you could be reimbursed for that loss based on a per day basis up to a preset maximum as per your chosen policy. No Fault No Foul: Adding this option to your policy keeps your rates the same if you get into an accident in which the other party is determined to be at fault, as long as the policy is still in force. Personal Umbrella: Every policy comes with liability limits in respect to how many expenses are covered. However, this option extends those limits in case there are additional claims made or if a court rules against you in a lawsuit. Having personal umbrella insurance will ensure that those expenses are covered in full. Glass Repair Services: If any glass on your vehicle is chipped, cracked, or shattered entirely, Farmers Claim Services can have a qualified glass repair company meet you, wherever you are located, to fix the problem. You can schedule a repair twenty-four hours a day, seven days a week. Every repair comes with a national lifetime warranty for as long as you own or lease the vehicle. Car Rental Reimbursement: This option is exactly what it says it is. Should you need to rent a car after yours has been damaged or destroyed in an accident, then Farmers will pay for your out-of-pocket costs. The company has partnered with a number of reputable agencies. They all offer free pickup and delivery, direct billing to Farmers, and they will even waive your deposit. Extended Customized Equipment Coverage: It is possible that you have taken some steps to add extra parts and features to your car that reflect your preferences and personality. That can be anything from a new sound system, spinning rims, hydraulics, or maybe a fin or sideboards. Whatever you have chosen to add to your ride in order to make it your own, it is very possible that your standard policy will not fully cover it should something happen to the vehicle. This option eliminates that worry and protects all of your customizations and enhancements in the event they are damaged or stolen. Farmers Rideshare Coverage: Those of you who are driving for rideshare companies, such as Uber or Lyft, may not have sufficient enough coverage with the standard policy when you drive for work. These companies may provide you with their full commercial coverage, but it is only active when you have a customer in your car. When you are not on a hire, that coverage may not ordinarily apply. With Farmers’ rideshare protection, the gaps that might exist in the two policies can be covered should you get into an accident while you’re on the clock, but waiting to be paired with your next customer. 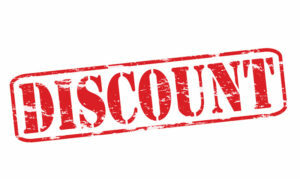 Student Discounts: These are for parents who have children attending school away from home. Homeowners Discounts: These discounts are for anyone who owns their own home. Mature Driver Discounts: These are discounts for older drivers. 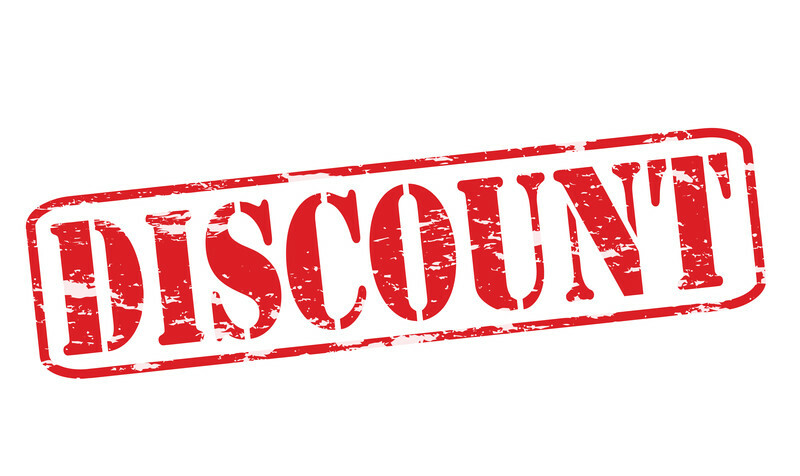 Safety Discounts: These discounts are for drivers who own vehicles that are equipped with approved safety devices such as airbags, anti-lock brakes, and automatic seat belts. These discounts may also extend to alarm systems and anti-theft devices to prevent loss. Bundling Discounts can help you save big when you bundle your automobile insurance with other policies from Farmers Insurance. These can include homeowner insurance and other products that the company offers to its clientele. Having all of your policies with one insurer can make processing claims and adjusting your coverage limits easy to do anytime. Farmers has a vast array of insurance coverage and additional options for homeowners seeking to protect their home and the belongings inside of it. They also provide a list of discount options for new homeowners, as well as those who have added various safety and protective devices to their home in the form of smoke and CO2 detectors. Opening a claim is simple and straightforward. Farmers even has a mobile app that lets you file and track the status of your claim from start to finish. The following are the common elements included in most basic homeowners policies. Property: Your policy is built to cover various forms of damage and destruction that might occur for any number of reasons (which are all laid out in the language of your policy). These can include weather, fire, vandalism and so on. Keep in mind not all impacts are covered, such as floods, though you can choose to purchase additional coverage to prepare for those occurrences. Possessions: Under a Farmers homeowners policy, your personal belongings are covered no matter where they might be when you suffer a loss or damage. The coverage is comprehensive and your possessions are protected under a variety of potential occurrences. Replacement costs are included in the policy without having tyo worry about depreciation. Liability: This protection will cover any costs you might end up owing in the event that you are responsible for the bodily injury of others or damage to their property as a result of an action on your part or because of a pet. Medical Payments: Any visitors or guests who get injured on your premises and need medical attention are covered by this portion of the policy. You will not need to pay for them out-of-pocket. Additional Living Expenses: This portion of your policy covers additional living costs that you may incur for a period of up to two years should a covered loss result in your home becoming uninhabitable. Optional Additions: These aforementioned policy components are all part of your normal coverage, but they can only provide so much. For those consumers who need extra protection or want to extend the limits of their policies, there are some optional additions that can be purchased to enhance their existing coverage. Scheduled Personal Property: Policyholders may buy scheduled or unscheduled coverage for items of particularly high value that may not be fully covered by the standard policy. These items usually include jewelry, artwork, antiques, collectibles, and other things that appraise for a lot of money. Identity Shield: This digital world in which we live is filled with numerous threats to our online security. If your identity is stolen or sensitive data compromised, Farmers offers high-tech recovery and resolution methods, document replacement services, and advocacy services to prevent such thefts from taking place in the future. Determining Your Coverage Limits: Every consumer is different and coverage limits will vary depending on specific needs of each policyholder. Because of this, and as part of a covered loss, it is important to figure out how much protection is required in order to ensure that your homeowners insurance will provide you with enough money to rebuild and replace anything that might have been damaged or destroyed. Estimate Your Rebuilding Costs: In the event that you need to file a claim on your homeowners insurance, chances are it will be for the purpose of having certain rebuilding costs covered. In order to get the entire amount needed to complete the job you will need to estimate what those costs will be in the event that something happens to your home. The major determining factor in getting a true estimate that will best reflect your needs is to understand the difference between the replacement costs in relation to what you paid for your home, or for the mortgage on it and the actual rebuilding costs in the market at the present time. The two may be quite different from one another based on the age of the home and the current market costs for materials and labor, both of which may have increased since your home was first built. These also include getting an accurate idea of what it will cost to replace the newer and renovated features within all of your rooms. Inventory Your Belongings: Homeowners insurance covers your personal property. Be sure to take a full inventory with accompanying photos or video of all of the items you want to insure. That means listing them by name along with the price, date of purchase, and defining characteristics. That way if something is lost, stolen, or damaged you have proof of all the information needed for making a claim. 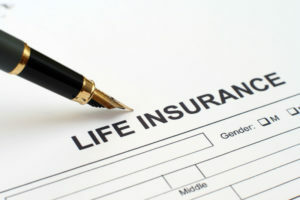 Farmers offers all of the common forms of life insurance. The company has various plans that provide specific coverage for consumers who have unique requirements. Their policies range from term life with small coverage for $25,000 to $50,000 to accidental death plans that go above and beyond what some of the other companies offer to their customers. Some age and state qualifications apply since you must be between the ages of 18 and 59 years of age. These policies only cost $8 a month for every $100,000 of coverage desired. Term Life Insurance: This is typically the most affordable option available from Farmers as it offers good protection for a low monthly payment. Your payouts remain the same throughout the term of the coverage which can be fully customized to fit your particular needs and future goals. The company has a variety of options in their Simple Term, Value Term, and Decreasing Term coverage plans. Each one offers level premiums of 10, 20, or 30 years with variable limits and multiple death benefit amount options. Permanent Life Insurance: Permanent policies offer somewhat different protection over the course of your lifetime than term life insurance policies. These options can build cash value as well. Universal Life Insurance: These policies come with lifetime protection and they are intended to build tax-deferred cash value with a fixed interest rate. Many customers prefer universal life insurance because it offers some of the best flexibility for an uncertain future. Should you wish to adjust your plan or change your payments, universal life insurance affords you with plenty of choices. Whole Life Insurance: This type of policy is a smart choice for you and your family. It can give you complete life-long peace of mind with unchanging premiums and coverage limits that are locked in for as long as you own the policy. Whole life insurance is also a good way to invest your money with an eye toward building wealth over the long-term. Pet Coverage: Farmers Insurance also offers coverage for pets. Keeping this type of policy helps to protect your furry family members when they get sick or injured. It also helps to protect you from the high price of keeping your pets healthy and happy. Pet insurance can help out with the costs of surgery, rehabilitation, and simple routine check-ups and wellness maintenance. This is one of those types of insurance that many consumers do not consider getting until they really need it, as the costs of care may be the deciding factor in saving the life of the animal and/or putting it to sleep. Pet insurance can be a valuable thing to have when you are faced with such a scenario. When you choose one of these Pets Best plans through Farmers Insurance, you get access to everything they offer and then some, such as a 5% discount on any plan. You can also choose any licensed veterinarian or specialist to care for your pet. You can file and manage claims online. Most online claims are processed in as little as five days and reimbursements are done for free via direct deposit. Like many other insurance companies out there, Farmers Insurance offers a wide variety of products and policies to fit every situation. The examples we have covered here are just a few samples of the many options that are available when you choose Farmers as your insurer. When you have been in the business as long as they have, you learn to understand the needs of your customers and provide the right products that meet those demands sufficiently and effectively.